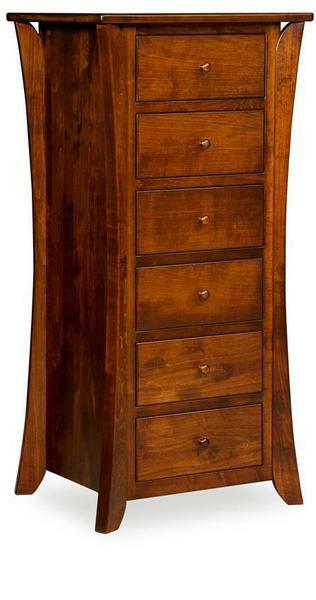 This Shaker Lingerie Chest is shown in a rich asbury brown stain on brown maple wood. There are six dovetailed drawers that each have full extensions slides with the popular soft closing features. Just give the drawers a gentle push and the drawers will close all on their own like magic. Order just the lingerie chest of go for the entire Caledonia bedroom collection to make that bedroom oasis you have always wanted.